Good morning everyone! I hope you've had a great week so far! 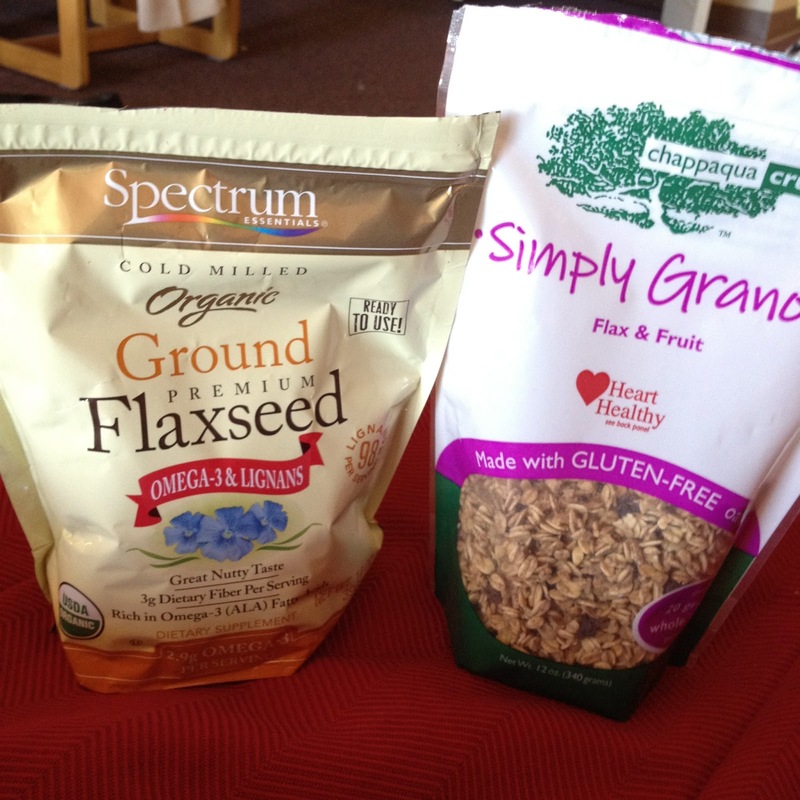 This morning I woke up and had my usual fruit and cereal for breakfast topped with ground flaxseed. I said I would do a post on flaxseed so here it is! These are two things I love using with breakfasts and snacks. Ground flaxseed and oats flax & fruit. These two items are great toppers for cereal, toast, waffles, yogurt etc. and they both provide tons of nutrients. Flaxseed is full of Omega 3 Fatty Acids, fiber, protein and vitamins. Omega 3 fatty acids are very nutritious for the body and help with healthy skin, hair and nails but the body can not produce it by itself. Therefore we seek to eat omega 3 in our diets. Some foods containing omega 3 are salmon and tuna as well as some nuts and oils. The benefits of omega 3 are endless so I try to always incorporate 1-2 tbsp of flaxseed in my cereal or on my toast, waffles or pancakes. Flaxseed is also high in fiber which helps your body clean it's system and leave you feeling full longer. Oats are also a great source of fiber which is why I bought this oat flax & fruit mix for toppings on cereals and yogurt. Be careful to start using these slowly because too much fiber at once can cause discomfort for your body. I bought this bag of flaxseed from Whole Foods for about $8 and I bought the oats mix from Marshalls for $5. Oat mixes can usually be found in most grocery stores and flaxseed can even be bought online from amazon. PS. Here is a great read my friend sent me on working out and cutting fat. The tips in this article are key things I use in my work out and eating routines.